These past two months I’ve been working on a project that I’ve been keeping more or less under wraps. Stuff has slipped out here and there, but most of you probably don’t know what I’m talking about right now. This year the Phoenix Fiction Writers are banding together and releasing another anthology. If you follow me, you’ve probably heard about it by now. 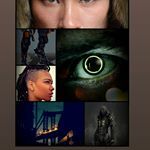 The Antiheroes anthology from Phoenix Fiction will feature short stories from seven of our eight members, covering Science Fiction, Fantasy, and maybe even some creepier stuff. You might have already seen some reveals. There are more to come. I am really proud to be part of this gorgeous anthology with so many talented authors. Just look at this cover! It just so happens that this cover is pretty perfect for my story too. Earlier this year, I was part of the first Phoenix Fiction Anthology. 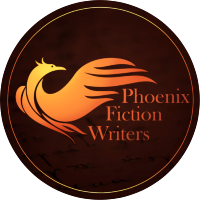 You can find my story, Stealing Life, among three other amazing stories for free through the Phoenix Fiction Writers newsletter. Well, I couldn’t stay away from the world I created in Stealing Life. 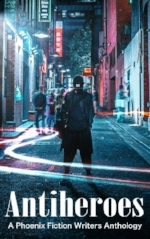 In the Antiheroes Anthology I will be presenting a follow-up short story to Stealing Life. In Stealing Freedom, you will be introduced to Koya. Taken by and experimented on by the same weapon-peddling corporation as the cast of the first short story, Koya managed to get away and find safety… relative safety… in North Africa. When that turned sour, and the anti-corporation government started to use him to their own ends, Koya escaped to the United States, where he now lives as a loner. That is, until the North African government finds him again, and offers him a deal he can’t refuse. One of the things I like to incorporate into my Science-fiction is a heavy cost for scientific advances. Like the magic system in the Television series Once Upon a Time, you always have to pay for it. So you can expect to find some crazy twists and turns. If that is not enough to get you excited, check out this cover! Cyberpunk is probably my greatest love in the Science Fiction genre, weather it’s the more classical, gritty and neon-laden version we see in movies like Blade Runner or the cleaner, more inventive type that pops up in movies like The Matrix. So I’ve had a ton of fun collecting inspiration for this short story. Here is a taste of what’s to come! One of the primary inspirations for Koya’s character, both in the look and feel of it. I hope that is enough to wet your appetite! I can’t wait to share more with you!